So, what exactly is Braxton Hicks and how do I know I'm not in labour? So, what exactly is Braxton Hicks and how do I know I’m not in labour? They always say that practice makes perfect but when it comes to childbirth do we really need to have a preview, aka Braxton Hicks? If you’re not sure exactly what these ‘false contractions’ are all about it, or are worried because you haven’t had them, here’s what you need to know. Braxton Hicks are false or practice contractions that happen during pregnancy, where the muscles of your uterus tighten for one to two minutes. They’re named after the English doctor, John Braxton Hicks, who in 1872 first observed women having contractions when they were nowhere near giving birth. It’s believed that they occur to help your body prepare for labour, but no one really knows for sure. When do ‘false contractions’ happen? 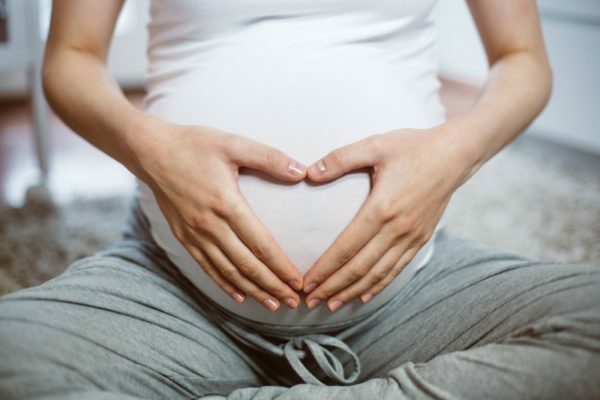 It’s possible for expecting mums to feel Braxton Hicks as early as six weeks into their pregnancy, but usually, these types of contractions aren’t experienced until the second and third trimesters. What does Braxton Hicks feel like? Braxton Hicks contractions are generally painless, with most women only experiencing a bit of mild cramping and discomfort on an irregular and infrequent basis. However, in some cases (usually in the late stages of pregnancy), these ‘false contractions’ are actually pretty strong and painful – ouch! How can I tell the difference between real and fake contractions? Are they getting stronger – Practice contractions will not grow in intensity like real ones, which get more painful and closer together indicating that bub is on its way. Where’s the location – Braxton Hicks are generally in the front tummy area whereas labour contractions can also be in other places like your back, and you might feel the need to go to the toilet. What happens when you move – If it’s Braxton Hicks, the contractions will feel better with exercise but worse if you’re in labour. Relaxing doesn’t help – Real contractions will come no matter how zen you are, but Braxton Hicks contractions can ease off when you’re more relaxed. Other things are happening – If your cervix is also dilated, there’s pressure in your pelvis, your water has broken, or your mucus plug (show) has appeared, then get thee to a hospital immediately. You’re having a baby! Drink lots of water – Being dehydrated can cause muscles to spasm and bring on contractions, so keep your fluids up. Don’t hold it in – Make sure your bladder doesn’t get too full though as this can trigger contractions, too. Relaxed breathing – Deep, slow breathing can help distract you and also reduce pain, so try some breathing meditations. Gentle movement – Go for a short walk or something active, or move your position. Lie on your left side – This has been known to ease the pain, plus it allows better blood flow to your baby, uterus and kidneys. Why haven’t I had any? Not all women experience Braxton Hicks, so if you haven’t felt anything your entire pregnancy, don’t worry. It’s also possible that you’ve had them but they’ve been painless, or you’ve just not noticed them, and if that’s the case then you’re one of the lucky ones! If you’re experiencing painful Braxton Hicks contractions or believe you might be in labour, please speak to your doctor.